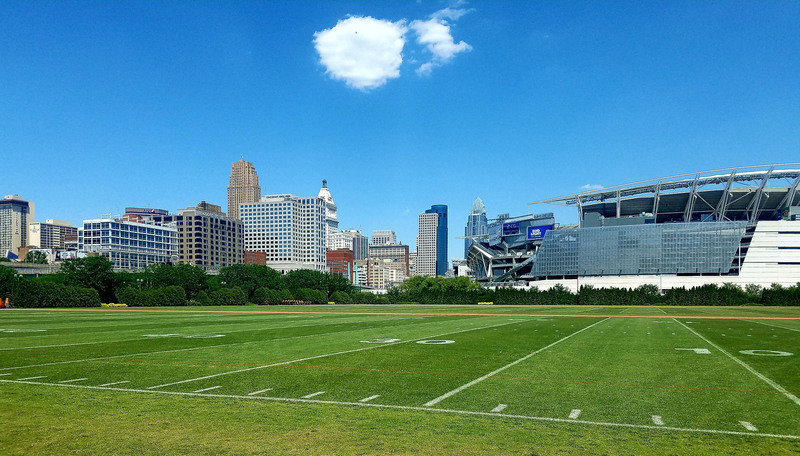 Natural Grass Turf Marking Paint for laying down lines or other markings on all types of natural grass athletic fields, football fields, soccer fields, field hockey, lacrosse, golf courses and similar sports areas where premium results are required. Bleachers and benches for fans or athletes. We have portable and permanent aluminum benches. 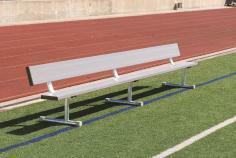 See our powder coated player's benches. <img class=" wp-image-921 aligncenter" src="https://whitlampaint.com/wp-content/uploads/2019/04/Raycom-Stencil-300x168.jpg" alt="" width="304" height="170" /> <strong>Call us..</strong>.We make your Home Field look THE BEST IT CAN BE with the newest wave in stencil technology. 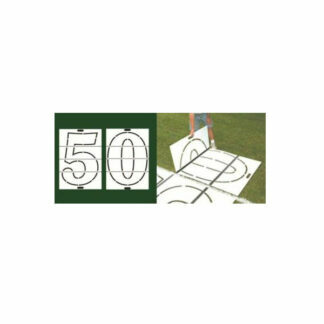 Now it is possible to have your own Logo, Mascot, League Emblem or Helmet designed into a reusable stencil. 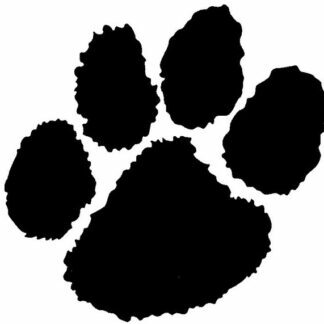 Contact us at 800-321-8358 for more information on Whitlam's heavy-duty one piece tracing pattern stencils. 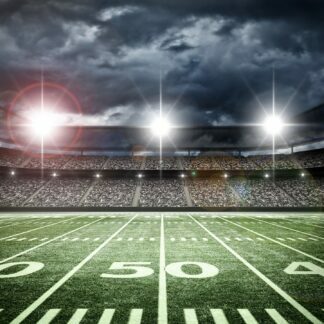 In-ground Field Marking Locator Sets are field marking systems to establish permanent reference locations to quickly and accurately re-stripe sports fields. 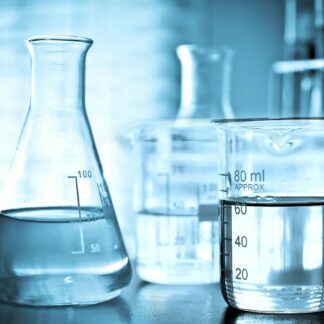 Reduces set-up time and costs. 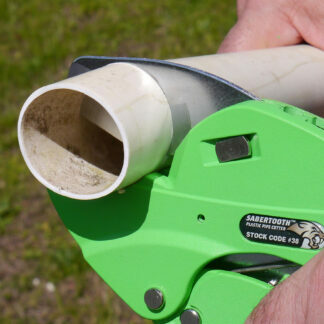 Measure once and easily re-stripe year after year. 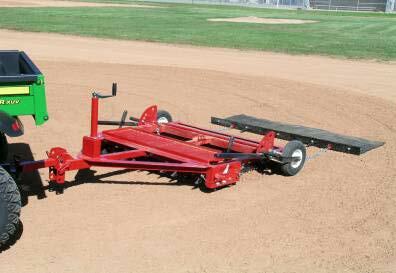 Baseball and softball infield drags and groomers. 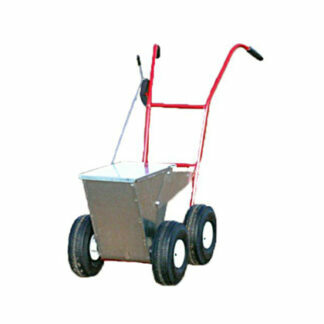 Our unique models have a non-kinking design and can groom base paths by hand or tractor. 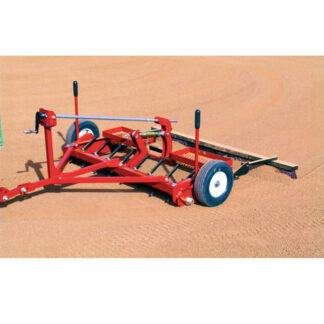 We have an infield groomer and infield drag for ever need. 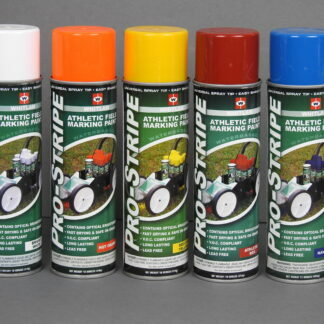 PRO-STRIPE Inverted Aerosol Marking Paint is formulated to last long, remain bright and not harm grass or any sports field covering. Get up to 1/2 mile of 3-inch wide stripe per case. 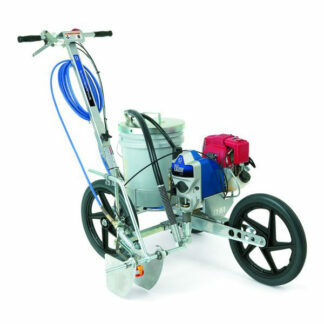 Line Striping Equipment that utilizes airless spray delivering higher quality lines with ease. 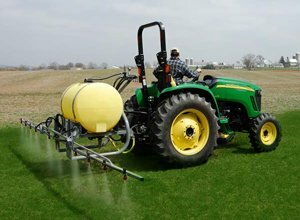 Airless pumping technology atomizes higher concentrations of turf paint for brighter, longer lasting lines. 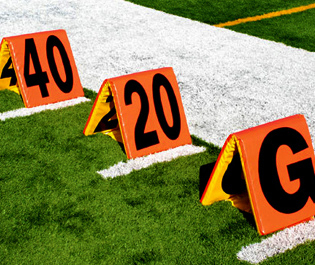 Players Benches, Down Indicators, Pylons, NEW Reversible Foam Filled Sideline Markers. 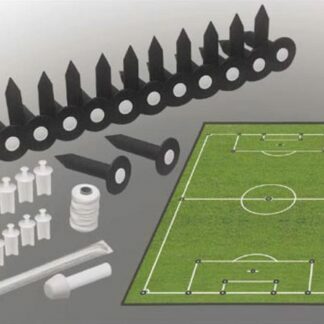 Now you can keep just one set for both day and night games. 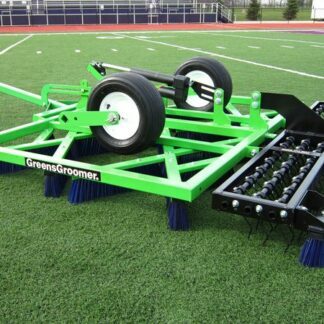 Greens Groomer Synthetic Turf Groomer - (920SDE). 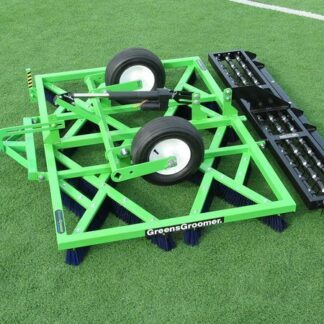 Electric Lift Synthetic Sports Turf Groomer has 16 Super Duty Blue brushes set at various angles to the direction the unit is being towed. The Groomer stands the turf surface up and assists in moving the top layer of infill, leveling low spots and depressions left after play. Quality Hand Tools to get your job done right! 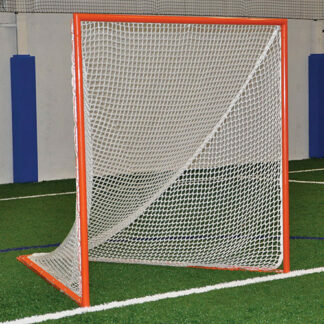 Manufactured from the highest quality materials. Contractor grade tools. 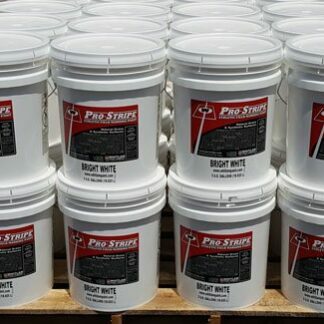 Click here to see all the available products from Whitlam Paint Company.